Former Burlington police chief Michael Schirling's retirement lasted two months. 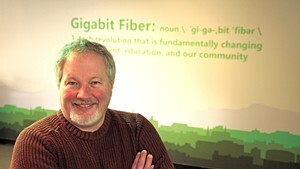 Schirling has been named the first executive director of BTV Ignite, the alliance intended to leverage the city's high-speed internet infrastructure to boost the local economy. 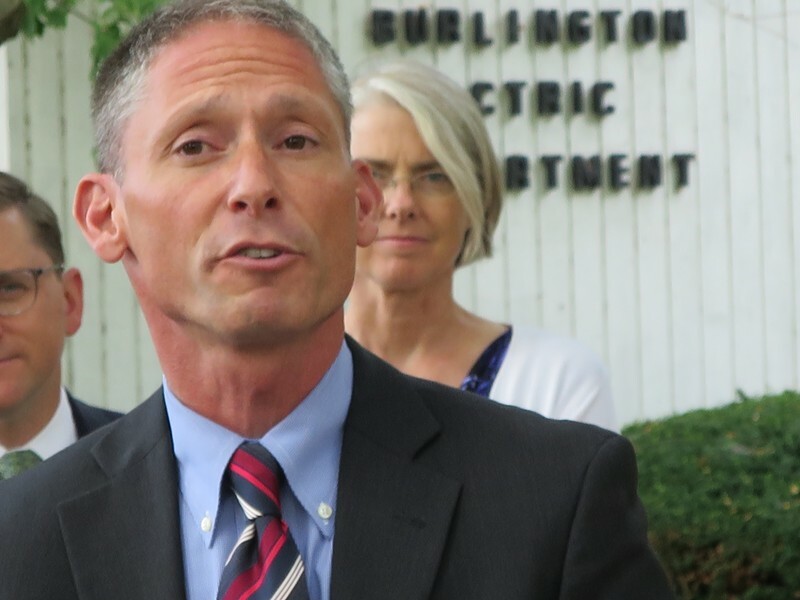 Burlington Mayor Miro Weinberger said Schirling's appointment was part of an effort to reboot the two-year-old BTV Ignite initiative: Officials also announced that a board of directors has been appointed, and that the organization was filing for nonprofit status. 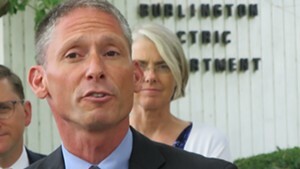 "This creates the footing for BTV Ignite to take off," Weinberger said at a Tuesday afternoon press conference outside the Burlington Electric headquarters. "Burlington has the building blocks to be a great tech city. The simple idea was if we got people from throughout the city together, we would accelerate its arrival." Schirling, a Burlington native, started work last week. He is the first full-time employee of BTV Ignite, a group focused on bolstering educational opportunities in technology and helping Burlington's established tech companies and startups grow. "What we're envisioning is everything from getting elementary students, all the way through high school, engaged more in [science, technology, engineering and math] and thinking about tech jobs, to making enhancements to the college and university curriculums so that Dealer.com, MyWebGrocer and Social Sentinel can find local talent," Schirling said in an interview. Launched in 2013, BTV Ignite is a joint initiative of the national nonprofit group US Ignite and the city of Burlington to leverage Burlington Telecom's fiber-optic network — which boasts speeds up 100 times faster than the national average. BTV Ignite has relied on volunteers since its inception. 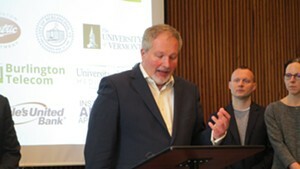 Several partners, including the City of Burlington, the University of Vermont, UVM Medical Center, the Lake Champlain Regional Chamber of Commerce, Burlington Telecom, Bluewater and Champlain College all contributed $25,000 to fund the executive director position and enable BTV Ignite to offer future programs. BTV Ignite plans to host a conference in October featuring tech experts from Ignite initiatives across the country. Schirling's is a one-year position, and the board will have an option to renew for a second year, Schirling said. He will make roughly $120,000, officials said. His is not a typical career turn for a law enforcement officer. But Schirling, who started with the Burlington Police Department in 1992, has always been known as something of a tech geek. He was heavily involved in the inception of that state's Internet Crimes Against Children Task Force, and designed a records management system for the department after becoming frustrated with the available options. The system he created is now used by dozens of other law enforcement agencies in Vermont. "I've had a passion for technology for a long time," Schirling said in an interview. "It's always fun to be standing at the intersection of technology and operations, and that's where the opportunity for BTV Ignite is. It's a good fit. The goal was to continue to serve the community in a different way." Schirling doesn't currently have an office, though he said several of the funders have offered him space. He plans to be on the road most of the time, he said. BTV Ignite's first board of directors will include Burlington Electric Department general manager Neale Lunderville, Burlington Telecom interim general manager Stephen Barraclough, UVM vice president for research Dan Harvey, Lake Champlain Regional Chamber of Commerce president Tom Torti and others. Schirling was scheduled to appear Tuesday afternoon at a roundtable discussion on BTV Ignite with Congressman Peter Welch (D-Vt.), Federal Communications Commissioner Jessica Rosenworcel, Weinberger and others at Burlington City Arts.